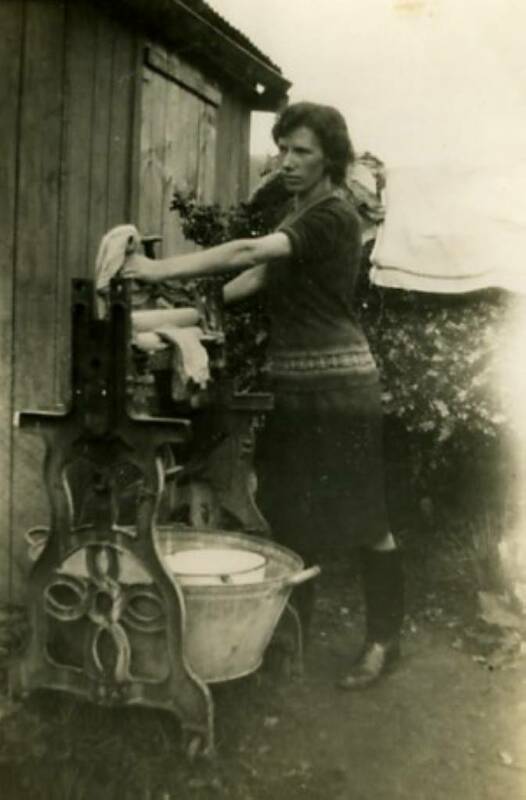 Ella Luke doing the washing at Church Cottage, during the 1940c. 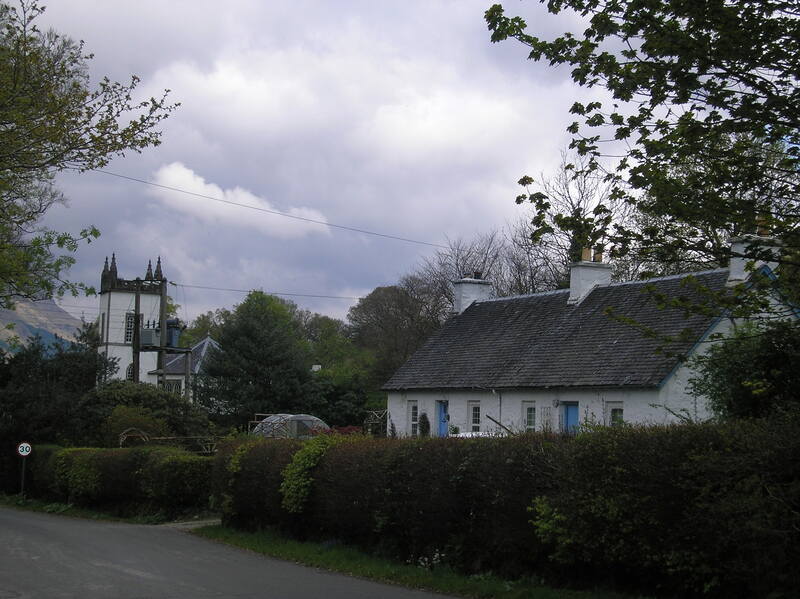 Church Cottages consist of two semi-detached dwelling, and we are examining Church Cottage South today. These buildings have been formerly known as Cairndow Cottages. Church Cottage South is the home of Andrew and Dasha Colton. 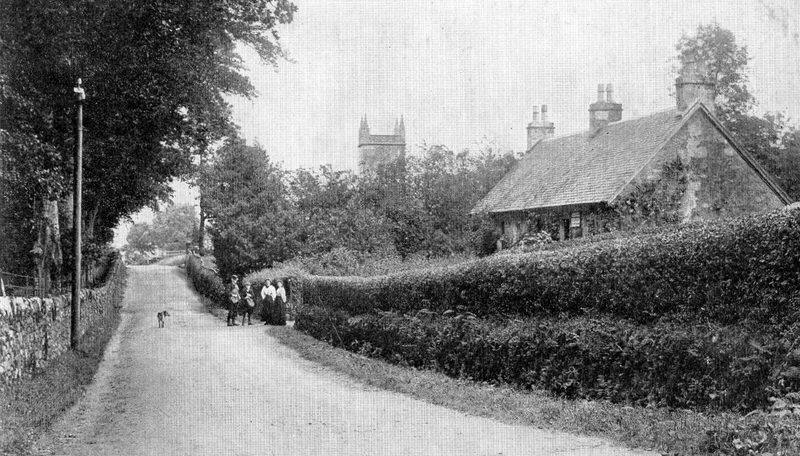 Church Cottages were built in a single operation to form a long continuous range aligned north / south with the front and rear elevation facing west and east respectively. 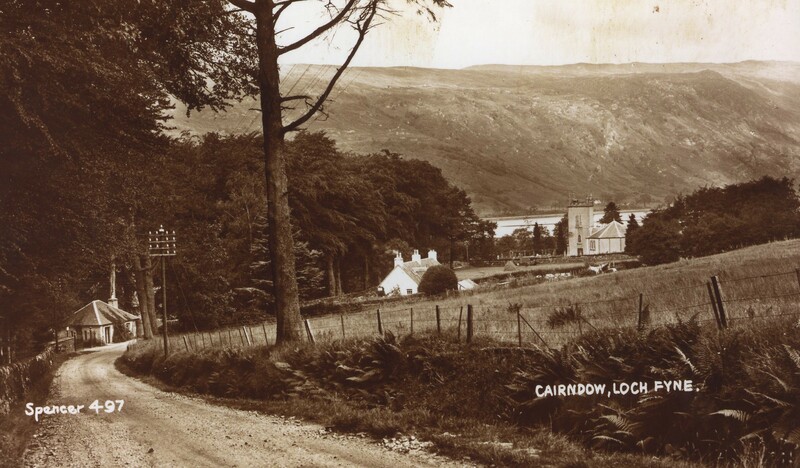 They lie in the settlement of Cairndow itself along the east side of the main road through the village, in close proximity to the principal entrance to the Ardkinglas estate. 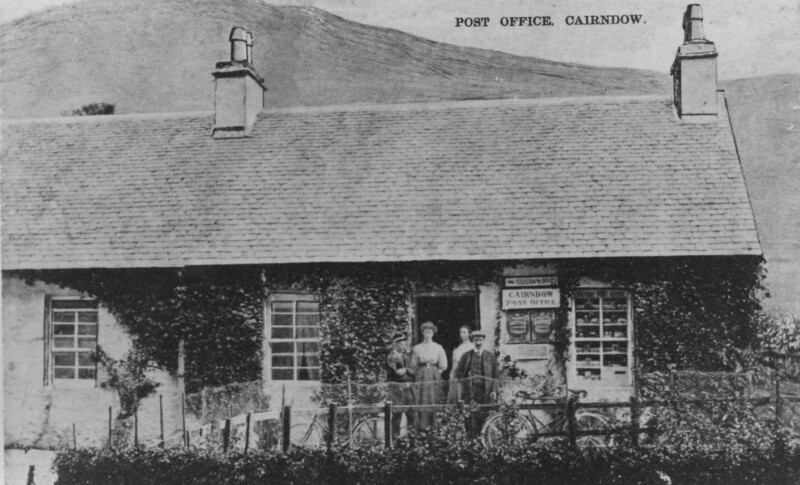 The original building may have been erected between 1871 and 1881. It is not appearing on the census of the early date (to be confirmed). 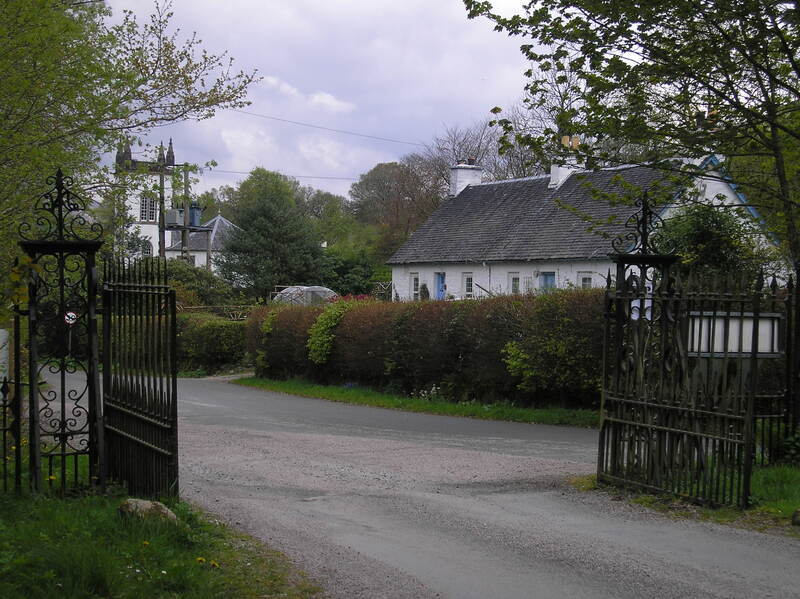 The double dwelling is very typical of the 19th century estate architecture of Ardkinglas / Cairndow. 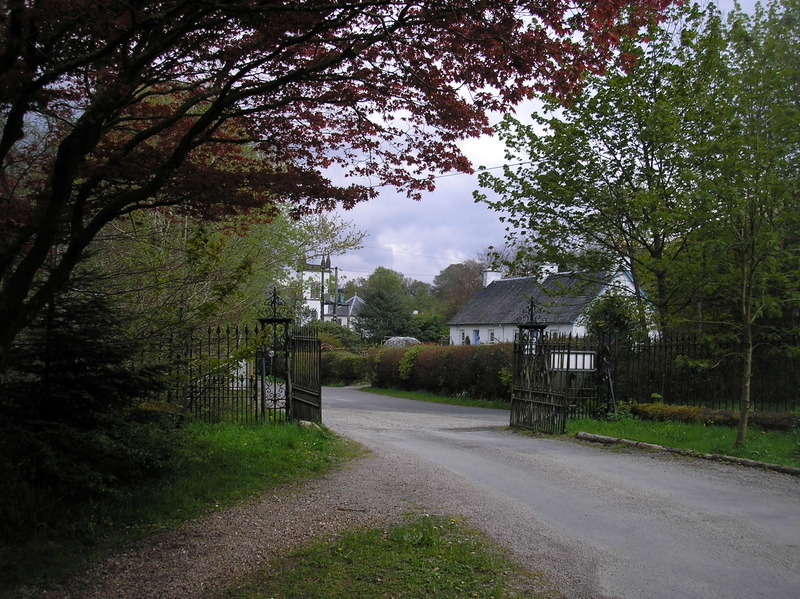 The cottages lie within a plot of land within the gently rising ground on the east side of the road. 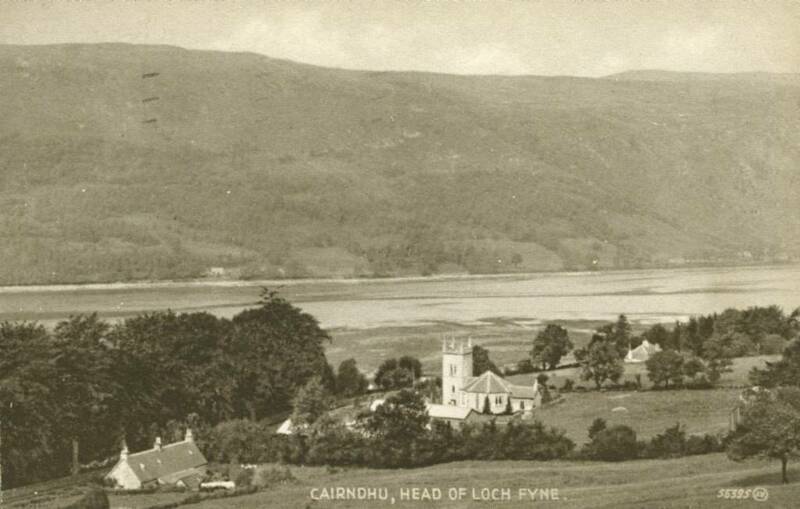 The plot is bounded by drystane dykes capped with beech hedges. A central entrance is aligned on the centre of the building. The access path splits to allow separate access to each of the two dwellings. Church Cottages are of 1.5 storeys under a continuous double pitched, slated roof, slated with Scots slates in diminishing courses. The eaves are slightly overhanging and the slating continues around the exterior sides of the gable end chimneys. The building overall has three chimneys, one on the centre line and one at each gable end. These appear to be stone-built but are now capped with cast concrete slabs. Each of the chimneys is clearly early and they all retain their thack stones, their projecting stones at the base on either side. 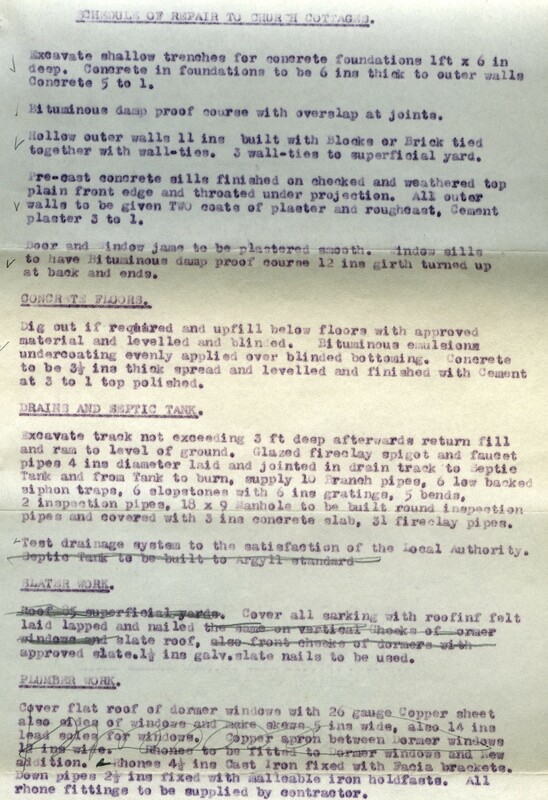 Rainwater goods and barge boarding etc. are all of wood, all painted in blue overlying a pre-existing white. Each of the two dwellings is of tri-partite arrangement. On the principal entrance elevation to the west there is a central entrance with a window on either side that is symmetrically arranged. 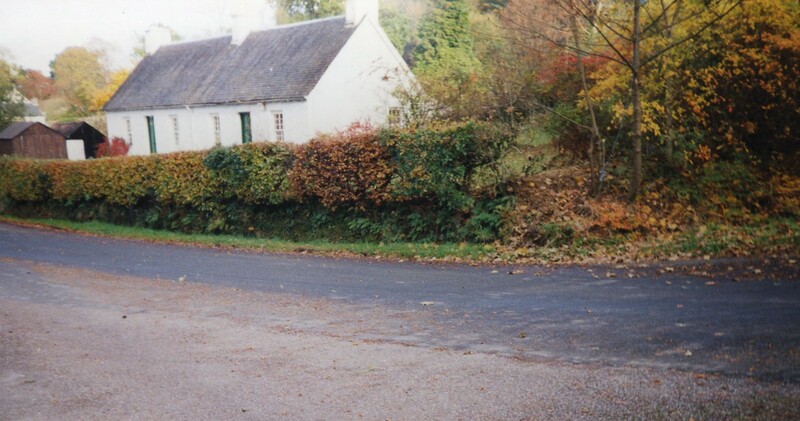 This is obviously repeated between the two cottages. The principal entrance of the south cottage is reached by a flight of two steps formed of stone, latterly patched in cement. 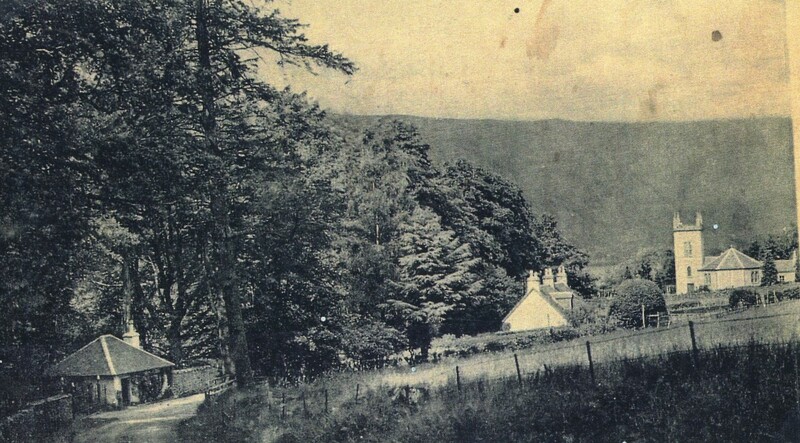 The cottage is slightly terraced into the rising ground to the east, there being a sunken area paved in concrete and bounded by a retaining wall to the north-east and south. 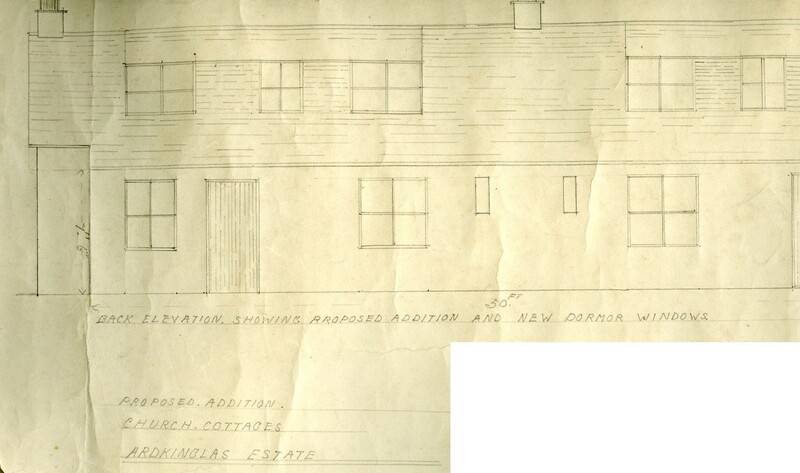 Figure 32 and 33 – Front / west elevation of Church Cottages (left), rear elevation, south gable wall and extension to east of Church Cottage South (right). The cottages are of rubble construction, mortared with quoins and windows of roughly hewn dressings that appear to be of some local schist. The pointing is fairly flush and there are some possible traces of a light harl still surviving, maybe a sneck harl. Multiple coats of whitewash are now over-painted in a modern white paint. There are very slight indications of a projecting base course: one or two projecting stones on the south gable at the wall foot suggesting a base course but this is mostly obscured if it exists. 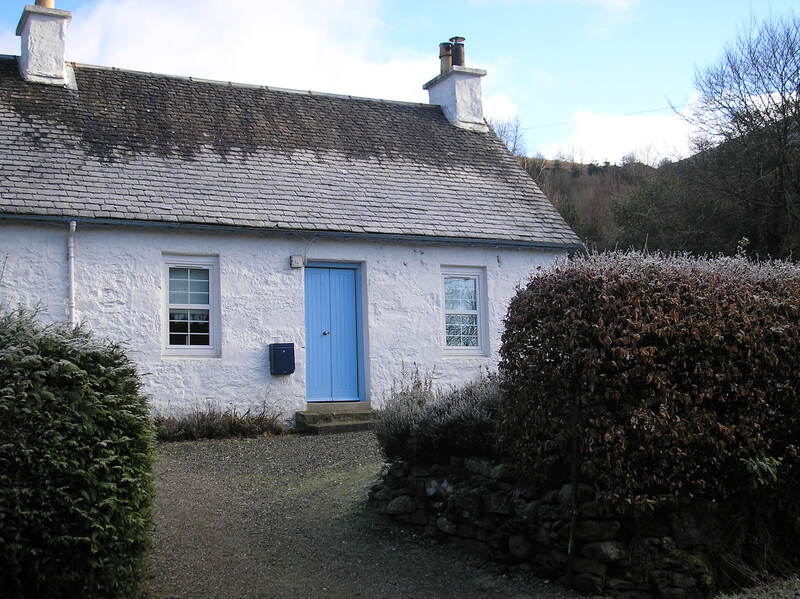 Overall the cottages are in many respects exceptionally well preserved. The exterior rubblework has not been harled over subsequently. There are not many traces of the original wall finish, etc., but some peeling of the existing exterior paintwork reveals in one or two places multiple layers of cream and white limewash beneath. The principal, modern intervention visible externally are the windows which are all of PVC and of very recent date. Both entrances contain twin leafed, opposed storm doors of framed construction containing panels of tongue-and-grooved boarding. The northern cottage has glazed panels above. These are both painted pale blue at the moment. The paint of the northern one peeling off, thus indicating a pre-existing green coat beneath. Along the entirety of the rear east side of the cottages is an outshot / lean-to. This is clearly secondary to the main buildings but built in one unified effort for the two cottages. It has a monopitch roof of shallow pitch, sloping down to the east. At the upslope end it simply runs into the rear pitch of the main range. This rear extension is clearly of 20th century date, maybe mid-20th century. On the rear wall to the east, between the two cottages, there are symmetrically arranged single entrances into the back of each cottage with a smallish window on either side and close to the central cross wall a very small closet window. All of these now replaced in PVC. The rear door to the rear extension is framed with the lower panel consisting of the section tongue-and-grooved boarding with a two-pane light above. This is painted pale blue and again the green of the pre-existing scheme is revealed underneath, beneath which is grey but this may be a primer. The layers of paint suggest that the primary coat is of a pale eggshell blue. Each cottage also has a continuous set of dormers on the rear pitch to the east, just above the junction of the outshot roof. For each of these there is a smaller central window and larger windows on either side in a triple arrangement. Again all of these are replaced in PVC. The rear pitch of the cottage and the fascias of the dormers are all in bitumen felt tiling. 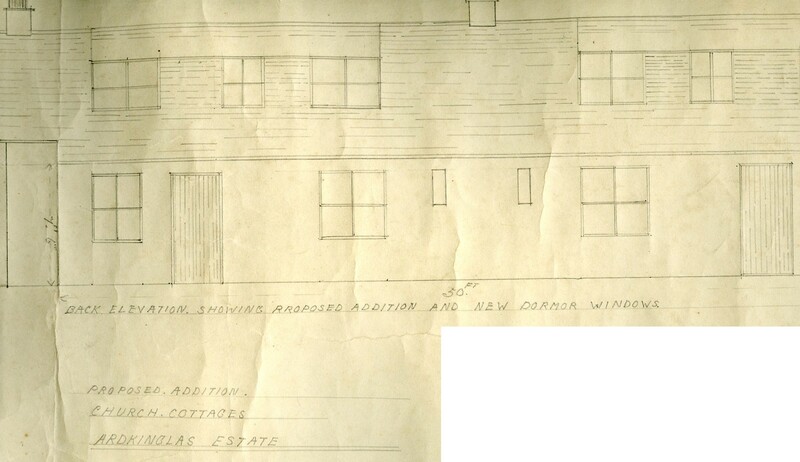 All of these details, including the rear dormers are identical to those of Sawmill Cottage. The rear dormers on the sides and flat roof are lined with copper sheeting. The rear extension is harled in cement and painted white. 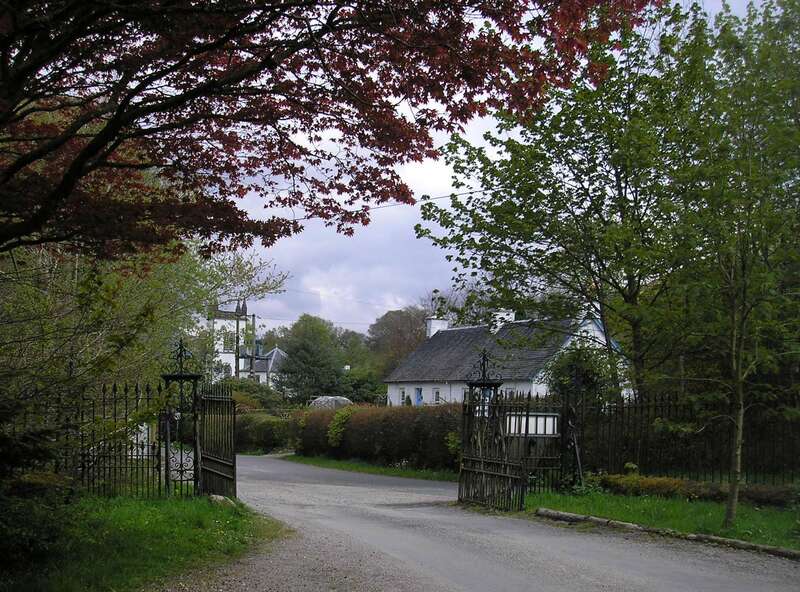 The principal entrance into Church Cottage South gives access into a small entrance vestibule or hall. 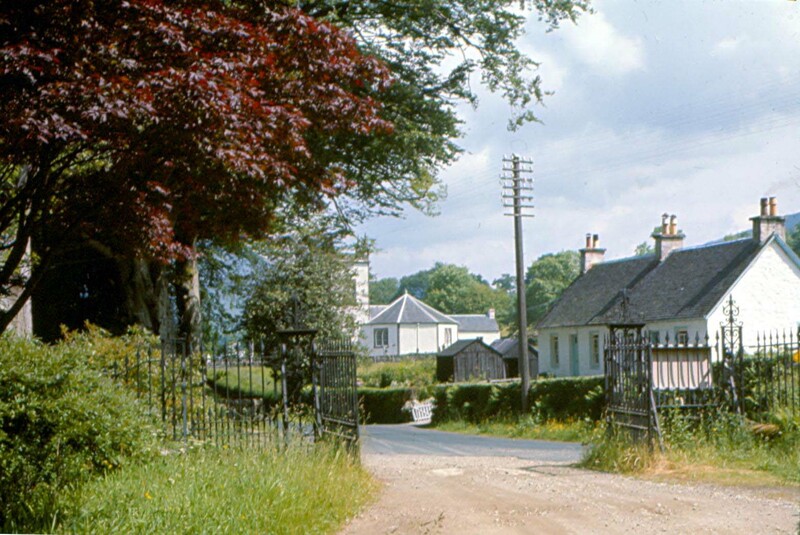 This is comparatively well preserved for the estate cottages at Ardkinglas. It has an entrance on either side to the south and to the north, giving access into the ground floor rooms and directly ahead an entrance to the stair. This is a single straight flight rising up to the east. The door surrounds may be secondary replacements and certainly the doors within are of modern hardboard. The stair entrance, however, retains its original surround which is typically detailed with the quirked angle roll internally and the ogee moulding on the outer side. All retain their early plaster. There is no cornice in any of the rooms and the ceilings are simple flat ceilings. The north of the ground floor room is lit by a single window to the west on the main elevation. Internally, there is a fireplace offset to the west in the north wall and this has a wooden surround and a brick infill interior which looks secondary to the main construction of the cottage itself. The hearthstone of stone is probably original. There is a blocked wallpress at the west end of the north wall that can be seen in outline. To the east on the north wall there is a vertical scar apparently indicating the former position of boxbeds, a feature apparent at other similar buildings on the estate. The line of the scar corresponds to a slight inset at the east end of the south wall where the boxbeds ran in. So it appears likely to have a double boxbed arrangement and in the middle of the east wall there is a slight indication of a central partition. The ceiling was subsequently lined and the south wall appears to be later lined out with plasterboard. Otherwise most of the wall linings look to be original and only wallpapered over. The southern ground floor room is simply appointed, also wallpapered over, but retains relatively few well preserved early features. The window in the west wall has an under-window cupboard which has hinged doors. It is fronted with tongue-and-groove 3" v-section boarding. The fireplace sits in the centre of the south wall. This is of a comparatively recent mid-late 20th century date, formed of bricks with a tiled hearth area, doubtlessly overlying the pre-existing hearth. Towards the east end of the south wall there is a further window which has 3" v-section boarding, lining it internally. A small under-stair cupboard can be accessed from the east end of the north wall. There is an entrance at the north end of the east wall from the southern ground floor room into the rear extension. The rear extension may date to the 1960s. There is apparently an existing plan (to be investigated). The entrance into the rear extension leads into a small hall which leads directly to the exterior entrance at the back. Off this hall, to the north, there is a further entrance leading into the present kitchen which contains units along its east side. At the north-east corner is a small pantry. On the south side of the rear hall is a further entrance into the existing bathroom which has seen some rearrangement since ca. 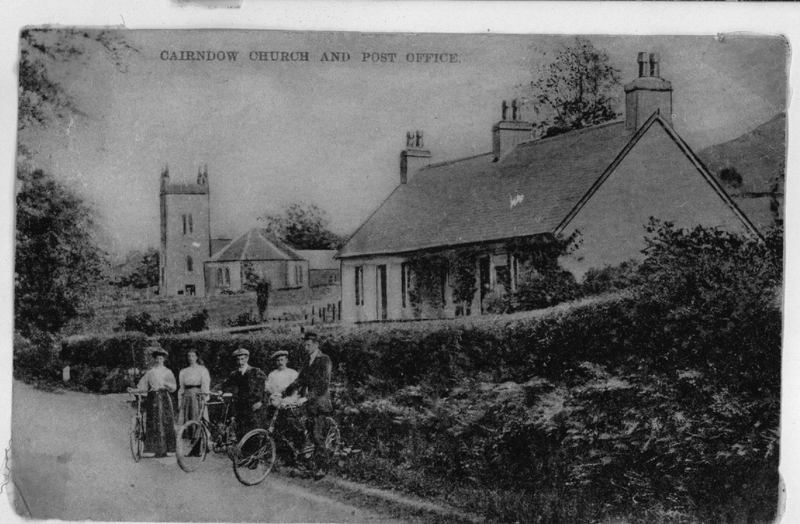 1965 when the extension was built. The room was already designed as a bathroom when the extension was built. Throughout this rear extension, the joinery is typical of constructions of this period on the estate with very simple architraves, with surrounded arrises, plain hardboard doors and unornamented skirtings. The rear extension is painted a pale yellow throughout. The straight stair rises up to a very small landing. The stair itself is lit by the central of the three windows in the dormer arrangement on the rear pitch of the roof. The stair landing gives on to bedrooms on either side. These entrances are all part of the circa 1965 works, the joinery as within the rear extension downstairs. The south bedroom has been simply appointed and has a deeply coombed ceilings on either side. To the south-east the corner is framed-in and to provide for a small press containing the water tank. A door on the north side is formed of 3" tongue-and-grooved v-section boarding, leading into the northern bedroom. There had been a fireplace in the south gable wall within this room, slightly offset to the east, but now removed and patched over. On the north side of the landing, the second bedroom is similarly appointed to the one just described. The northern part of the interior is framed out for a closet space. At the west end of the south hall there is a small cupboard door and an under-eaves storage space which has been framed-in.